I've been wracking my brain for ideas of how we can help the Hurricane Sandy Relief effort. It's been incredibly devastating for so many families in the coastal areas on the Eastern Seaboard. My heart simply breaks for what these families must be going through to just get some semblance of their lives back, and we'd like to help. I feel so lucky and blessed to live on the West Coast. We might have a few earthquakes now and then, but we are never subject to such brutal storms and weather that our friends on the East Coast have to endure. 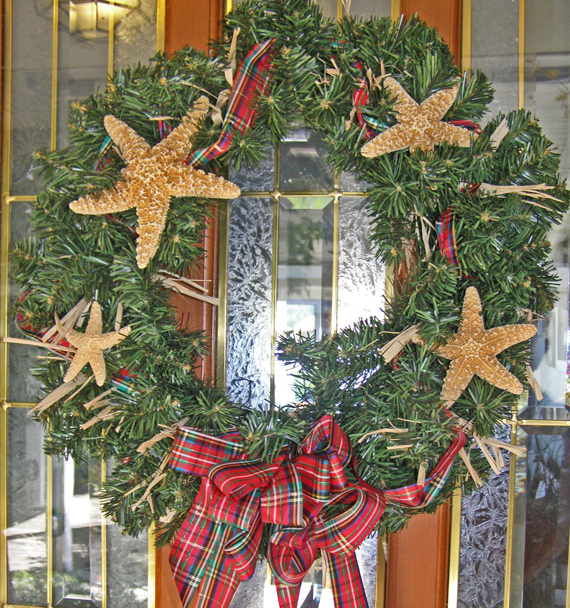 We've teamed up with my good friend and beach artist, Judy of Just Beachy, and between the two of us we decided to showcase one of Judy's coastal Christmas wreaths for the Red Cross effort on the East Coast. We will be donating 10% of each sale from the Country Coastal Wreath to the Hurricane Sandy Relief Effort directly to RedCross.org. In addition, we will be sending a special donation message with each package. Perfect for gift-giving for the holidays, and for a great cause. Thanks for your help and for your support.